What is your favorite summer memory? My kids love swimming, hiking and going to amusement parks. They love going on rides and eating ridiculous amounts of cotton candy. And my mom has a thing for cotton candy, too. I finally looked into what it would cost to buy a small cotton candy machine and I was surprised to learn that it wasn't expensive. I bought this really cute and small one on Amazon. It is pretty much the perfect size to create enough for the family and not be bothersome to store away. 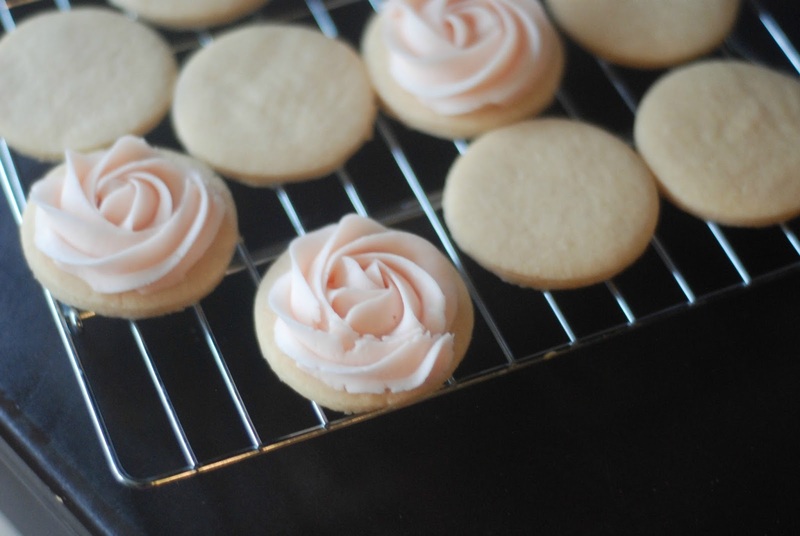 One of my frequent requests is for a roll out cookie recipe. I will be publishing my favorite traditional recipe later this year, but it's summer time and I thought it would be fun to experiment with new flavors (ahem, cotton candy). 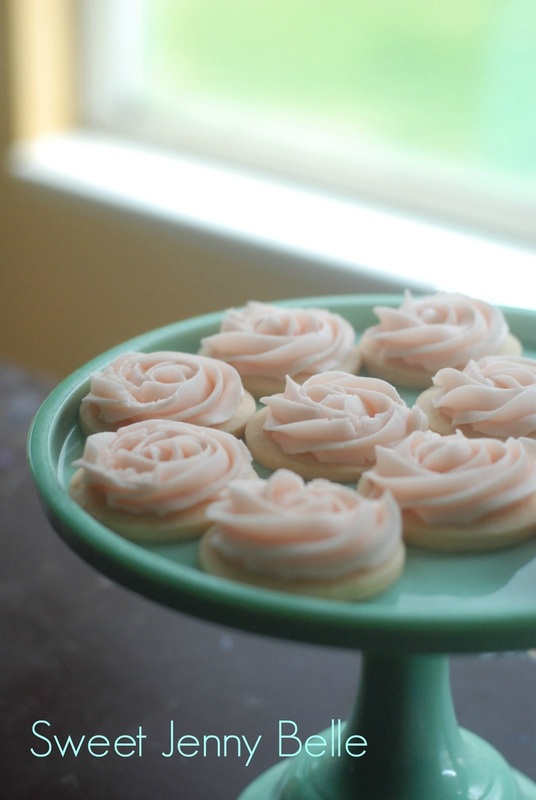 These delicate, sweet cookies are so fun to make and your children will be excited over the secret ingredient. I think these would be lovely to serve at a summer tea for you and your child. 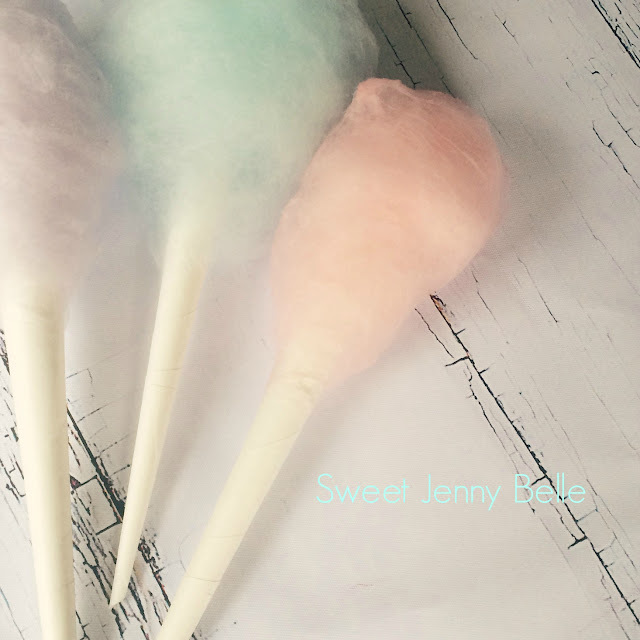 There is a wide variety of cotton candy floss that you could use as well; I used cherry and it gave the cookies such a sweet, light pinkness. Are you ready to try out these sweet treats? Add eggs, candy floss and vanilla; blend just till incorporated. In a separate bowl, blend flour, salt and baking powder. Gently add to the dough and mix until well blended. 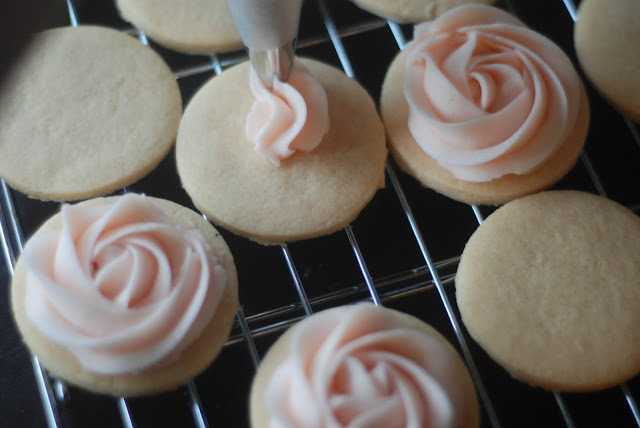 What is my secret to that beautiful rosette icing? It's so easy! You just need a 1M icing tip. Start in the center of the cookie and move in a circular position. 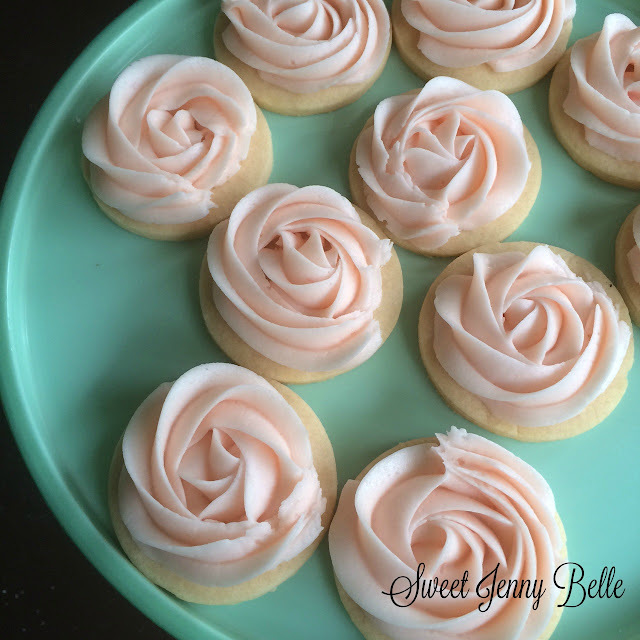 That's it - it is so easy and you will want to decorate roses on everything! Beat butter in a standard mixer for about 2 minutes. Add vanilla and cotton candy floss. Slowly add in powder sugar and milk. 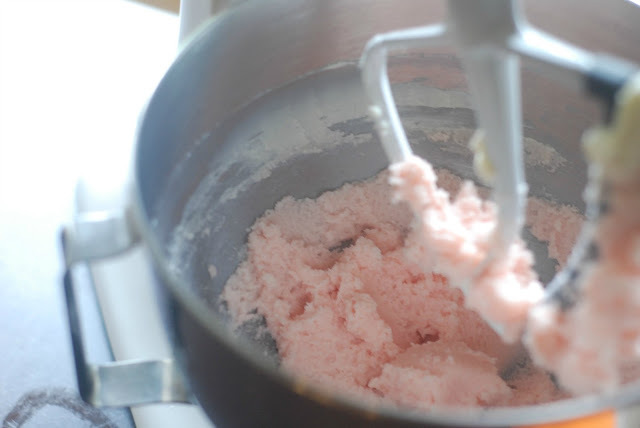 Whip frosting for about 5 minutes until it is light and fluffy. 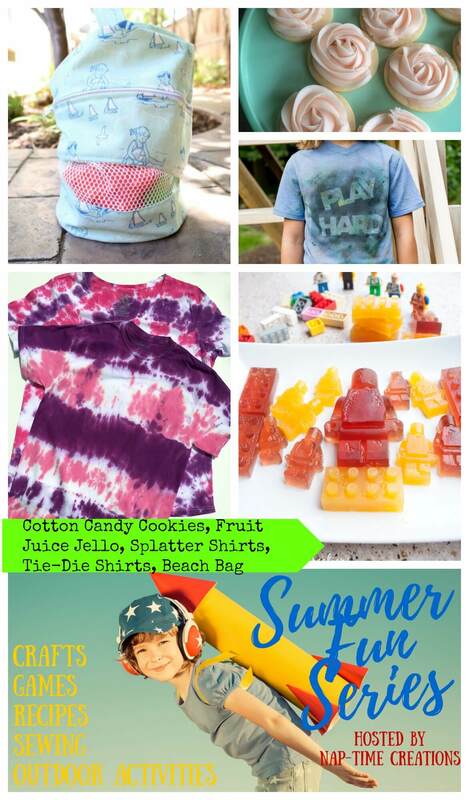 Are you looking for more summer fun? I've teamed up with some amazing bloggers - come check their projects out!